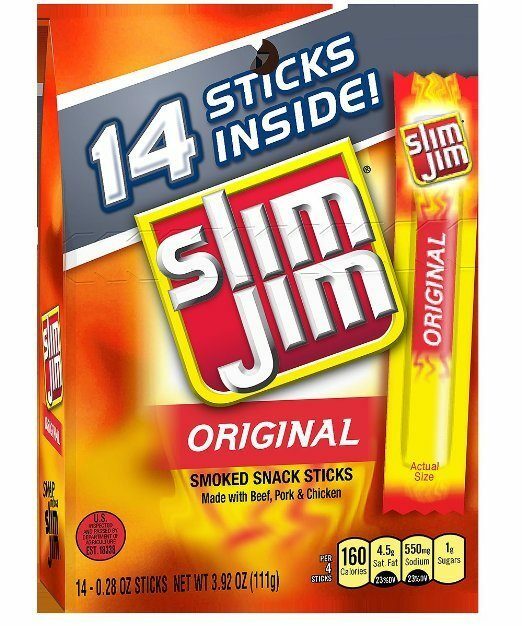 Slim Jim Original Snack Sticks 14 Count Just $2.55! You are here: Home / Great Deals / Amazon Deals / Slim Jim Original Snack Sticks 14 Count Just $2.55! Head over to Amazon and get Slim Jim Original Snack Sticks, 0.28 Ounce, 14 Count for just $2.55 when you select Subscribe & Save. These are great for lunches, a snack on the go or a stocking stuffer!